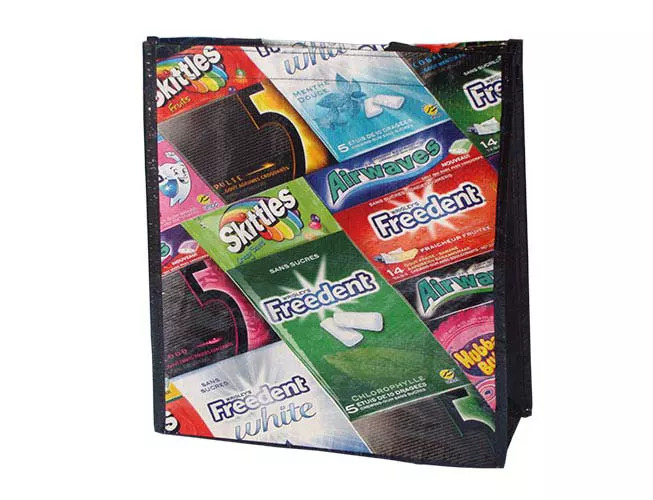 When you want to create a complete, one-of-a-kind reusable bag, our Custom Reusable Shopping Bags are exactly what you are looking for. 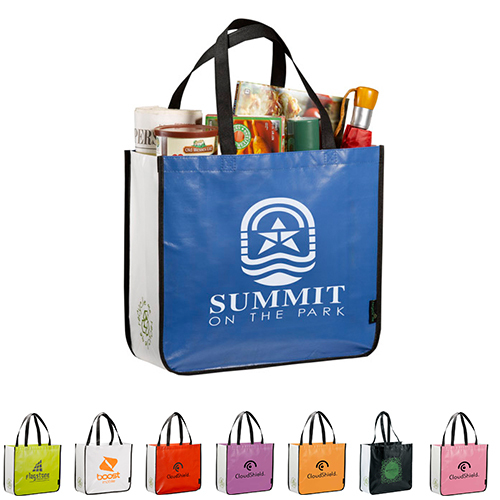 This is where it gets really fun for our team as we will help you bring your vision into reality and create a fully custom, full color reusable shopping bag that will knock your socks off and endear customers and prospects to your brand. 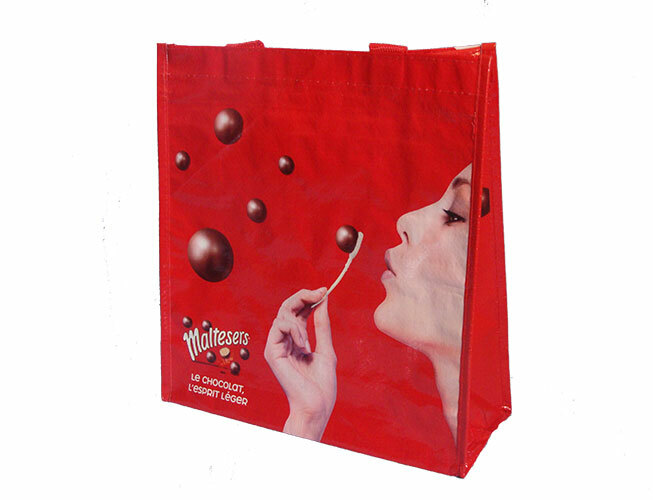 Choose from a laminated or cloth-like textured finish with both options made from recycled content and are totally recyclable. 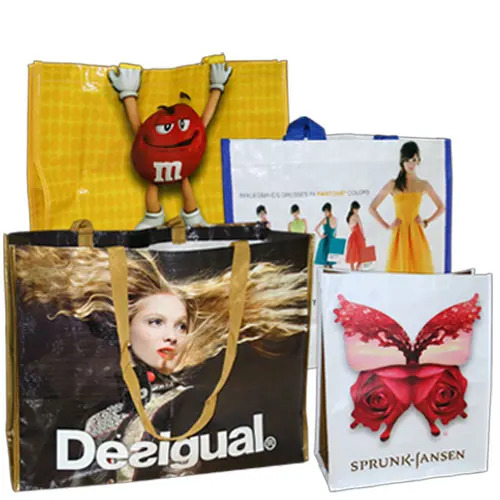 These Custom Shopping Bags are some of our all-time favorites as the quality of the full color printing is something we are proud of, truly outstanding and crafted beautifully. 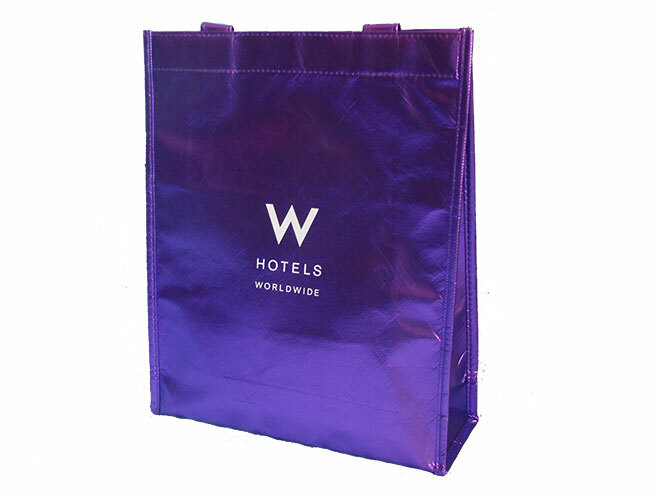 The solid construction is designed to withstand more than 2 years of regular use so your customers will use the bags and get your logo noticed for a long time. 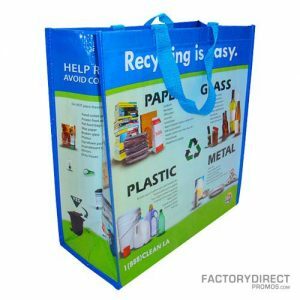 Full-color just speaks volumes about your brand, in an eco-friendly way, that will have your demographic as excited as you are about your promoting brand. 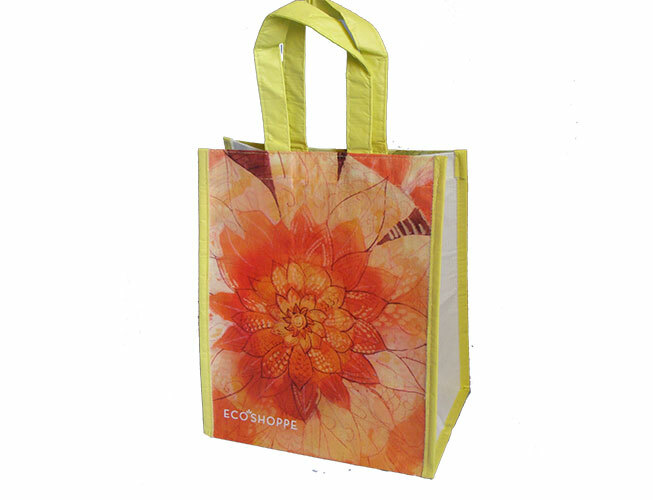 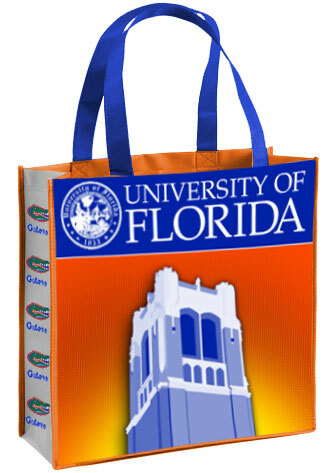 Feel free to ask for samples of our full-color shopping bags to truly see the amazing beauty of these bags.